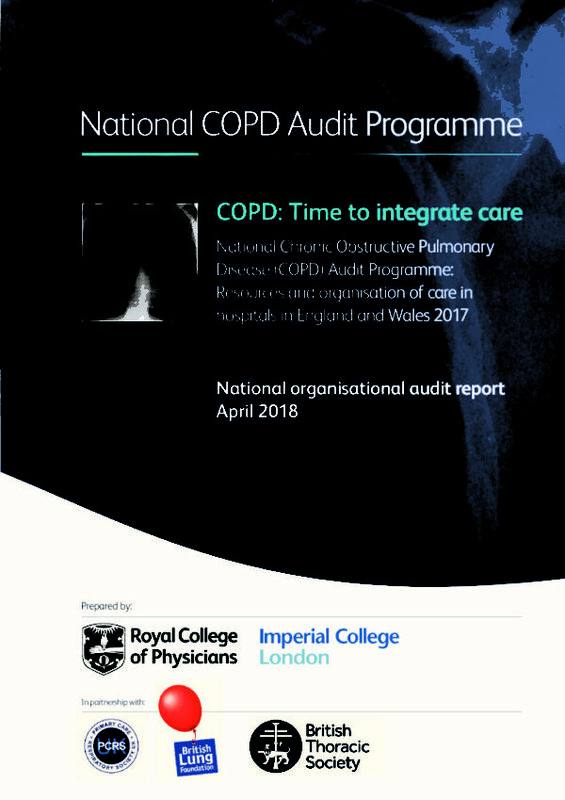 From March 2018 the National Chronic Obstructive Pulmonary Disease (COPD) Audit will run as the redesigned and newly commissioned National Audit of COPD and Asthma (NACAP). For further details, see National Asthma and COPD Audit Programme. This audit programme brings together primary care, secondary care, and pulmonary rehabilitation, along with patient experience and pilot linkage. Its partnership approach with multidisciplinary, collaborative working aims to drive improvements in COPD patient care. The audit programme supports the Department of Health (DH) aim to improve the quality of services for people with COPD by measuring and reporting the delivery of care as defined by standards embedded in guidance. There is an intention to create a new programme, the National Asthma and COPD Audit Programme, which will bring asthma and COPD audits together from Spring 2018. See National Asthma Audit Development Project page for details of the asthma audit ‘feasibility study’.